Guess what all you Lebron James fans! 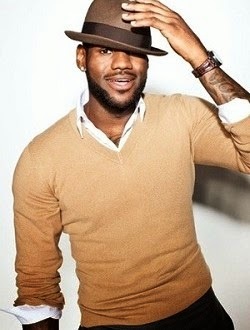 +LeBron James will be producing a fashion show! How crazy do that sound? With All-star weekend AND fashion week falling into the same time frame, what better way to incorporate the two by having one of the best in the NBA to put on a fashion show? All-Star Style will be produced by James’ Springhill Production Company and will air during All-Star Weekend on Valentine’s Day at 6:30 p.m EST on TNT. With ballers like James Harden, Chandler Parsons, Demarcus Cousins and Klay Thompson snagged to hit the runway, the show will have three segments: attire worn to the game, dressing for the boardroom and a night out on the town. The one-hour show will actually double as a competition, starting off with eight players, four will go to the second round and two will advance to the finals.